England has been engaged in a bitter Civil War for nearly ten years. Ralph Chaplin, a farmer’s son, has fallen for beautiful copper-haired Kate. There is only one problem – he is a Roundhead soldier and she is a Royalist lady. Tired of bloodshed, Ralph volunteers to fight, sensing that the Battle at Worcester will be a chance to finish the fighting for good. He longs for peace, so he can forge a secure future and find a different, more equal way of life for himself and Kate. But war is not what he imagined, and soon he has made a deadly enemy; one who will pursue Ralph and those he loves, and wreak vengeance. What’s more, Ralph finds he has just as many enemies at home, as on the battlefield. Told by Ralph’s ghost, Spirit of the Highway is the stand-alone second part of the Highway Trilogy based on the real life and legend of Lady Katherine Fanshawe, highwaywoman and heiress. I was very excited to hear the sequel to Shadow on the Highway was in the works, especially that my wait wouldn't be long. 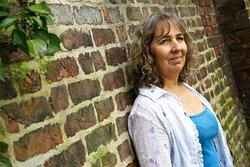 Deborah Swift is a favorite of mine, her books The Lady's Slipper, The Gilded Lily and A Divided Inheritance were books that I really enjoyed. They took me to another place and time, had me totally captivated, hence why I was excited to find out Spirit of the Highway was being released. The Highway Trilogy is YA, it's a genre that lacks really good historical fiction - those with not just a good story but that you can lean the time period in an enjoyable and entertaining fashion. Spirit of the Highway is the 2nd book in the series. It definitely works as a stand alone, but I recommend book one, Shadow on the Highway, just because it's really good and tells the story of Abigail which I found very interesting. Spirit on the Highway is told from the POV of Ralph, his spirit that is. At first I thought what a unique prospective until I finally grasped what that meant. It really is a different approach, though at times I forgot about the spirit and then waited for a miracle of some sorts. It wasn't until I was reading the authors note that I really appreciated this POV. More on those notes shortly. There were a variety of characters here, some I liked and others not so much. With different and unique personalities Swift skillfully wove a story showing the various repercussions of war. From those that fought, those left behind, those on a mission for themselves along with the women left behind to struggle on their own. This book didn't hold much back in the way of details back in 1651, not just the struggles and hardships endured but a bleak future as well. Her knowledge of this time is evident here and her writing style makes it easy to get absorbed in the story. The Authors Notes explains that Katherine Fanshawe is a real historical figure which adds more life to this story. 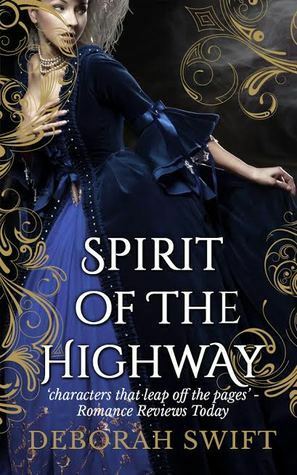 In regards ghosts/spirits Deborah Swift wrote a few pages entitled 'Ghosts of the Seventeenth Century' which I found just as interesting as the book and has me looking forward to the next/final installment in this series, Lady of the Highway (set for a 2016 release). Though YA I feel this series would be enjoyed by adults as well. To win a signed paperback of Spirit of the Highway please enter the giveaway via the GLEAM form below. Three copies up for grabs!